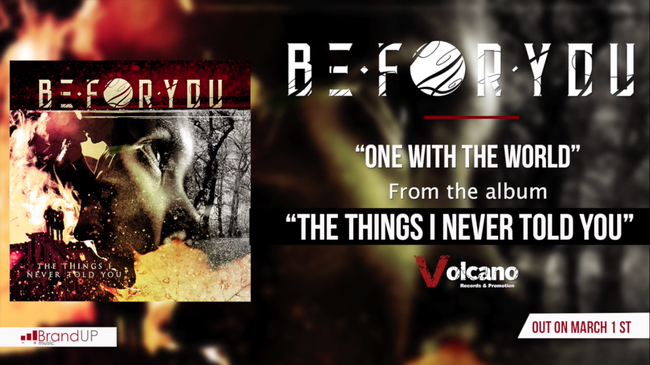 The Spaniards Be For You (B4U) today make their first single available to anticipate their new album "The Things I Never Told You", released for Volcano Records & Promotion on March 1st and mixed by the renowned producer Alessandro Del Vecchio (Hardline, Lionville, Jorn Lande). The song is titled "One With The World", will be the second track of the album and presents all the elements of a high-level rock piece: enveloping sound, effective arrangement, melodic and airy refrains, guitar solos, synths and old school reverbs. , catchy melodies. In short, the B4U have decided not to miss anything. The technical level of the band is certainly noteworthy and this piece is an unequivocal proof. Without a doubt, the new album will not disappoint the expectations of all the supporters of the new generation of melodic rock. Waiting to be published, we recommend listening to this new original song.